EWS: Two new businesses launched in January, 2011. See below. Your home should be your sanctuary; a place where you reconnect with what’s important in your life. It should be a place where you can relax in a comfortable, uncluttered and stress free environment that is functional and practical. These beliefs form the foundation of Barton & Dubenitz Design, a small design & accessories business started by Elizabeth Barton Dubenitz, co-owner of the Sporting Gallery in Middleburg, Virginia. Opening this business was a natural transition for Elizabeth. Along with her husband, Gregory, she has assisted clients in re-designing rooms to accommodate beautiful artwork and fine antiques purchased from her Gallery for over 35 years. She has worked closely with private clients and corporate buyers, helping them establish and maintain their fine art collections. Barton & Dubenitz Design offers a host of services. 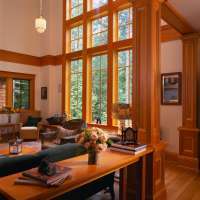 They include home interior redesign, real estate home staging, space organization for home or business offices and a wide range of art consultant services including custom picture framing, restoration, and the hanging, displaying and lighting of all your artwork. In January of 2011 Liz launched two new businesses; Art for Animals: gift cards, custom made pillows, purses/pocketbooks/wallets, fine boxes - all, of course, related to animals with partial proceeds donated to the People for Pets Foundation, a 501(c)(3) humane organization. Her second sideline is "Where Did You Find That?" - a fun collection of items that Liz has discovered and utilised over the years and people continually ask her, "Where Did You Get That? It was meant to be that Liz should start selling these items thru her business!! Enjoy viewing our new web site and if you get a chance please take a look at the Sporting Gallery's web site for a wide selection of contemporary and antique paintings, bronzes and prints @ SportingGallery.com.